Spain has a population growth rate of 0.08% (1998 est.). Spanish people come from different regions and cultures, making them one of the most diverse peoples in the world. In fact, aside from its standard Spanish language, this country has four co-official languages of Catalan/Valencian, Basque, Galician and Aranese. Since Spanish people are greatly diverse, they also exhibit different personalities and customs. However, most Spanish people are friendly, humorous, hospitable, warm, positive, family oriented and expressive. They love to hold grand celebrations and feasts, take afternoon siesta, eat tapas and big breakfast, and place high importance on diversity and culture. The Spanish are also related to other Latin peoples living in Europe, especially the Portuguese. Located in southwestern Europe on the Iberian Peninsula, Spain is a country bordered to the south and east by the Mediterranean Sea; to the north by France, Andorra, and the Bay of Biscay; to the northwest by the Atlantic Ocean; and to the west by Portugal. Spain is the second largest country in Western Europe after France, and the 51st largest country in the world with an area of 195,364 square miles. 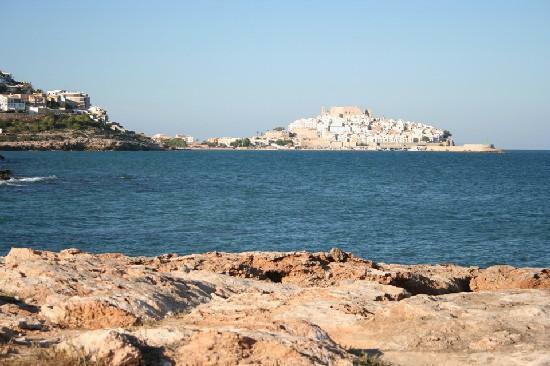 Its territory includes the Balearic Islands in the Mediterranean, the Canary Islands in the Atlantic Ocean, and two autonomous cities Ceuta and Melilla in North Africa. This country has always been a major source of influence to its neighboring countries and in its territories since prehistoric times until the Modern Era. Its form of government today is a democracy organized in a parliament and under a constitutional monarchy. Spain, whose name derives from the word "Hispania", an ancient Roman name for Iberia, is a developed country with the ninth largest nominal gross domestic product. It is currently a member of the United Nations, European Union, NATO, OECD, and WTO. Spain takes up 85% of the Iberian Peninsula, which is situated in southwest Europe. Its neighboring country is Portugal. Spain has a broad central plateau that slopes to the south and east. These plateaus are intersected by mountain ranges and river valleys. In mainland Spain, the Sierra Nevada, one of the most famous mountain ranges can be found. Rivers are also bountiful in this country. In the northeast, the Ebro River can be found, while Tajo River runs in the central region, and the Guadalquivir River is located in the south. Spanish climatic areas are diverse due to the geographical location of this country and its orographic conditions. 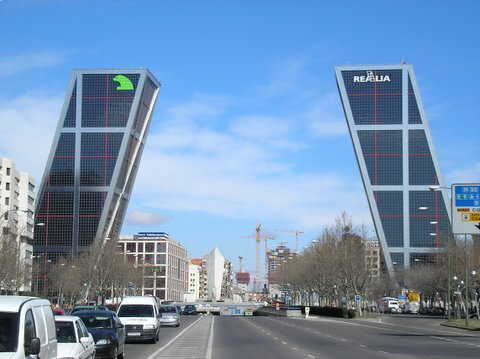 When it comes to famous attractions, Spain has many. The Museo del Prado in Madrid, the world's most premiere art museum, houses over 4,000 masterpieces. Works of masters such as Goya, Caravaggio, Fra Angelico, Botticelli and Hieronymus Bosch can be found in this museum. Alhambra of Granada, a Moorish fortified palace, is another worthy spot on the list of tourist destinations. In Barcelona, the Sagrada Familia is frequented by tourists. This is Gaudi's unfinished cathedral. Another magnificent museum is the Guggenheim Museum in Bilbao, which is also considered one of the most significant architectural structures of the 20th century. In the City of Cordoba, you will be amazed at the exquisite tourist treasures such as a mosque-cathedral, the Calahorra Fort, medieval quarter of La Juderia, and the Jewish Synagogue, which has been turned into a museum. Of course, you cannot say you have been to Spain if you have not experienced or watched the Running of the Bulls in Pamplona. Although, it is not advisable to join this parade, you should definitely be a spectator and marvel at this age-old festival. The first inhabitants of Spain were Iberians, Celts, and Basques around 4,000 BC. In 228 BC, Carthaginians arrived and took control over southern and eastern Iberia. Romans came in ten years later and defeated Carthage in the Second Punic War. They occupied the Iberian Peninsula, and the inhabitants of this place were granted full Roman citizenship. The Romans introduced Christianity in the first century, and this religion became widely prevalent in the second century. In 711 to 718, Muslim armies from North Africa conquered nearly all of the Iberian Peninsula. 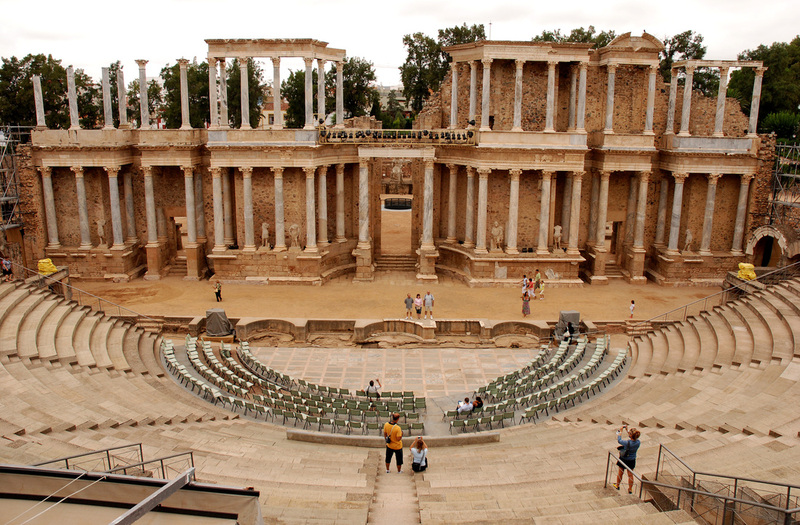 In 756, the Independent Emirate was established and Cordoba was proclaimed as its capital. The Reconquista, a century-long expansion of Christianity in Spain began in the battle of Covadonga in 722. The victory of Christians over the Muslims has re-established Christianity in this country. Spain became Europe's leading power in the 16th and 17th centuries due to trade and wealth from conquered countries. The reigns of Charles I and Philip II were the pinnacle of Spain's power. During this time, events such as the Italian Wars, the Revolt of the Comuneros, the Dutch Revolt, the Morisco Revolt, Ottoman Conflict, the Anglo-Spanish War and the War against France also occurred. During the War of Spanish Succession in the 18th century, a new dynasty called the French Bourbons was formed. In 1808 to 1814, the Peninsular War occurred as a result of the revolt against Napoleon's occupation. The Spanish American War happened in 1898 which resulted in Spain's losing some of its territorial possessions such as Cuba and the Philippines. In 1931, the Spanish king was forced to relinquish his throne and the country became a republic. From 1936 to 1939 the Spanish Civil War took place, and dictatorship was established. This Civil War has been considered as the first battle in the World War II. In 1978, democracy arrived in Spain under the new Spanish constitution. People of Spain know how to party, especially at night. Spanish nightlight is especially lively in Madrid and Barcelona. Most Spanish nightclubs, bars, disco bars, cafe bars, champagne bars, casual pubs, and watering holes open by 10 in the evening, and people can keep partying until the break of dawn. However, popular nightclubs in Barcelona wait until midnight or one in the morning before opening up their doors to customers. However, Spanish nightlife is not known only for drinking, partying, disco dancing and staying up until the morning. Because late evening meals are available in most bars and nightclubs in Madrid and Barcelona, families also go out for a night of socializing, drinking coffee or sangria, and having fun. 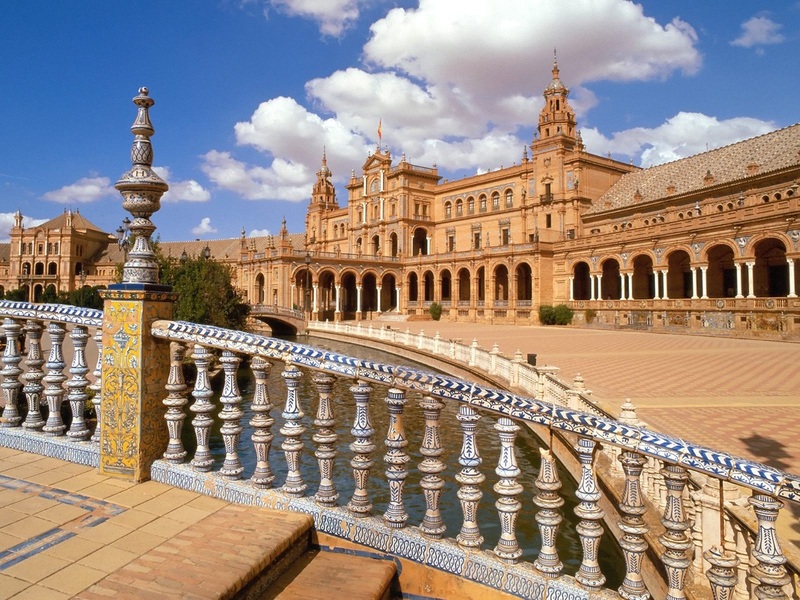 Spain has a widely diverse culture and heritage as it has been a recipient of numerous influences from nations and peoples throughout its history. However, the origin of Spanish culture can be traced to the Iberian, Celts, Latin, Visigoths, Roman Catholic and Islamic influences. Since Spain places utmost importance on religion, this is where a significant part of its culture is derived. The main religion in Spain is Roman Catholicism, which accounts for 76% of the population. 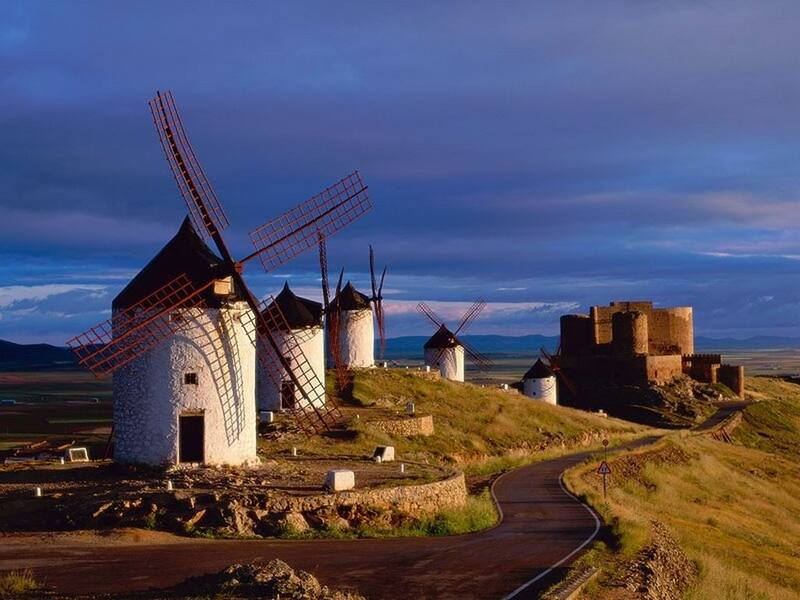 Other aspects of Spanish heritage can be viewed in Spanish literature (with Miguel de Cervantes as Spain's most famous author for his masterpiece Don Quixote), art, cinema, architecture, and music.